This means that you can’t access the Xbox Live servers and that some Xbox features aren’t available. This issue can occur because of system maintenance or a temporary Xbox Live issue. Note When this issue occurs, you may experience additional problems, such as being unable to play content that you purchased. To work around this issue, copy the saved game file to a storage device on your Xbox 360 console. For example, you can copy the saved game file to an Xbox 360 Hard Drive or to a USB memory stick. For information about how to copy saved game files from cloud storage to a storage device on your Xbox 360 console, see Copy, move or delete Xbox saved games, profiles and avatar items. Turn off your Xbox 360 console and your network hardware (such as your modem and router). Turn on your modem and wait for it to come online (approximately one minute). Press the Guide button on your controller, select Settings, select System Settings and then select Network Settings. 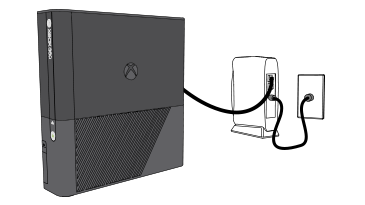 If this solution worked, your console will connect to Xbox Live. Note If you’re prompted to update your console software, select Yes. Would you like to contact Support regarding the "Error 80004004 occurs when accessing a game file in cloud storage from Xbox 360" issue you were reading about or a different issue?